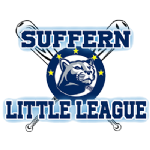 The goal of the Village of Suffern Code Initiative is to ensure a safe and desirable living and working environment, thereby protecting the health, property and quality of life for all Village of Suffern residents by fairly and impartially enforcing codes and other ordinances in the Village of Suffern. What is the Village of Suffern Code Initiative? The Village of Suffern Code Initiative is a proactive approach to combating code, housing, and fire safety issues. Based on zoning regulations, code enforcement, and fire inspections as well as feedback from residents,reports will be investigated by a Code Enforcement Team. The Code Enforcement Team, including Building Inspectors, Fire Inspectors, and Code Enforcement officials will address code compliance, health, safety issues to strive to enhance the Village of Suffern’s position as a premier place to live, work and raise a family. Remedies may include warning notices, violation notices, and corrective action steps including court appearances along with substantial fines for offending property owners. The Village of Suffern’s Code Initiative will continually identify, assess, and implement municipal “Best Practices”. Examples which have already been implemented include: A No Knock Policy, maintaining and updating our “Rental Registry”, and the training of Police Officers and Firemen to recognize and report building and code violations.